Q: How do you support the mission of your organization? 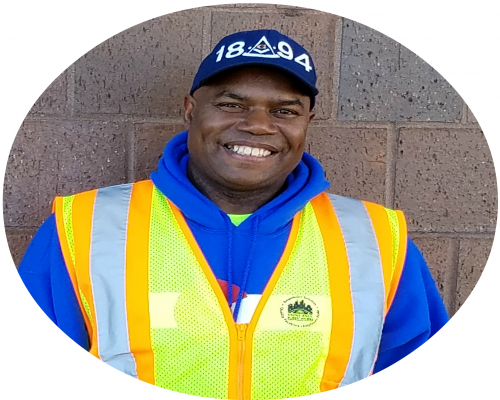 AT: I’ve worked in Public Works for over 16 years, previously in the Bridge division and now in Street Services. Everything I do supports the mission of my department, from sanding and plowing the streets, to ensuring my crew knows what their assigned routes are for the day. Q: What are the important job functions for success in your job? AT: The most important job functions for success in my job are to show up on time, and do the work. I used my knowledge and experiences to train my crew on how to operate the tools and machineries safely to do their jobs. If I think there was an easier way to complete a task, I shared it with them. Q: What tools or resources does the City provide to be productive and effective in this role? AT: Safety is very important. The City provides all the safety equipment and a lot of different tools such as protective vests to protect us from getting hurt on the job. Q: What is great about your job? AT: One of the great things about my job is it keeps me busy. I get to do a lot of things from repairing the road to pouring salt. I also became familiar with the plow and sweep routes and know where to go without having to refer to a map. Every day, I look forward to working with my crew. Together, we do a good job and work to ensure no one gets hurt.